Every once in a while something great is born. And for those of you who like tobacco blends, this is that time. So say hello to Halo Cigs' latest new e-liquid flavor, Black Calico! 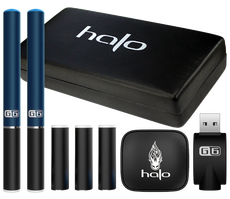 Halo describes it as: "Reminiscent of popular pipe tobacco blends, this Danish style tobacco flavor offers an earthy Cavendish base delicately blended in a light vanilla bean wrapper. With a complex balance of authentic tobacco flavor and subtle sweetness, Black Calico is light enough to be enjoyed by anyone seeking a true tobacco flavor." 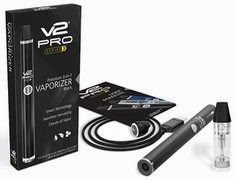 If you enjoy tobacco flavored e-liquids, and sweet pipe tobacco, then be sure to check this one out! With a smooth hit and just a hint of vanilla, this flavor may just be one of the best you've tried. Btw, if you like their Tribeca e-liquid, then you'll probably love this one as well. 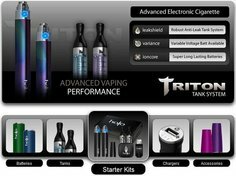 "After reading the description, I rolled the dice and ordered the 30ml bottle. I know it says to wait 24-48 hours before vaping and I usually do but I couldn't wait. I warmed and cracked open the sample bottle and gave it a shot. The flavor was what I exactly looking for. It tasted like the "Mild and Black" cigars commonly sold everywhere. I enjoy Black Calico as much as Ienjoy Halo's best e-liquid Tribeca." "I love this flavor! It reminds me of my grandpa's pipe tobacco. It is rich, smooth, slightly sweet, and destined to become a classic." "Black Calico is amazing! It has a very strong smooth tobacco taste with just a hint of vanilla. This is seriously going to replace my Tribeca as my all day vape. It is the best tobacco flavor I have had hands down! I was bummed because I saw the free sample promo a day after I placed an order. However, I was pleasantly surprised, Halo sent me one with the order anyway! Thank you Halo!" 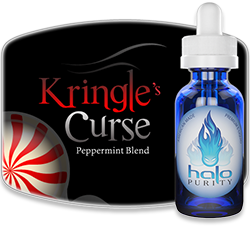 "This is another fantastic flavor from Halo! It has a mildly sweet inhale with a mild to medium smokey pipe or cigar like exhale. It is definitely not an average tobacco taste in a good way. It is really a refreshing change and I know it is just going to get better the longer it sits. A great flavor and service. I will definitely order more of this." Sound good? 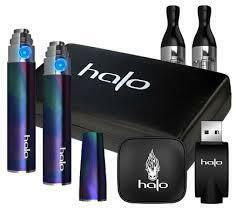 Then head on over to Halo Cigs and check it out. 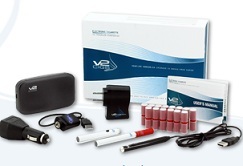 And be sure to check out their many other awesome e-liquid flavors and e-cig devices as well. 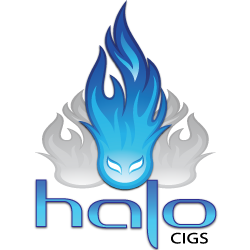 We absolutely adore the quality and performance of the Halo's products, and we're sure you will as well.